We are one of the most reliable commercial printers in UK and Europe for custom cardboard boxes, corrugated boxes and all kind for paper bags. 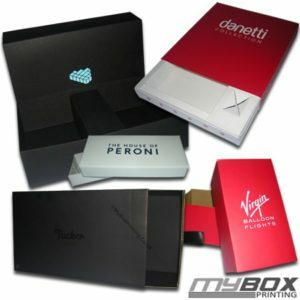 Since 2001, our personalised boxes and bags made us first choice in industry where companies require customised packaging boxes and bags for events, branding, marketing, product promotions or publicity. 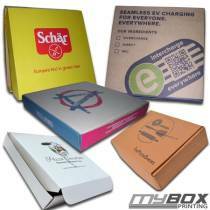 Now you can have your logo, messages, text, graphics or any other data to be printed on any size and shapes on packaging materials. 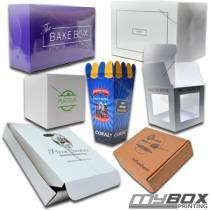 We supply boxes of various qualities, sizes and prices. All you need to do is, share your product information with us, and our artwork department will start working on your digital proof. Dimensions, colours, quality and price can be discussed before your artwork can be finalized. We not only offer price match guarantee but we offer, top-rated quality with fast turnaround. Our order processing head office is in London. 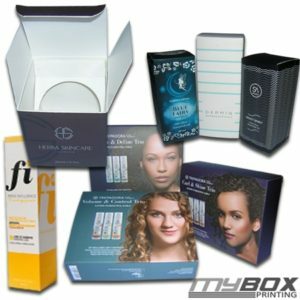 Box printing services is available for all customers in UK, France, Belgium, Italy, Norway, Denmark, Finland and all other European countries. Our prices are inclusive of shipments, taxes and other handling costs. Faster Delivery options are only available exclusively for London and Birmingham customers only. 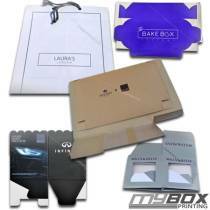 What make us first choice for branded packaging boxes and bags, because our process is simple, easy and fast. First step is to discuss with our sales team about your product’s artwork, dimensions, quality, price, delivery time and material. Once these are suitable for you, then design department will start working on creating a digital proof. Once approved by customer, then we will process your order for manufacturing. All our products are customised according to your needs. 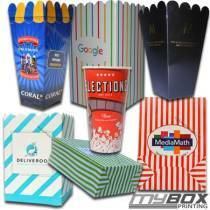 We specialise in custom packaging boxes for gifts, marketing, brand promotions, high-end products, food packaging, die-cut boxes and for all other types of bespoke packaging boxes. Orders will be shipped in flat packaging. 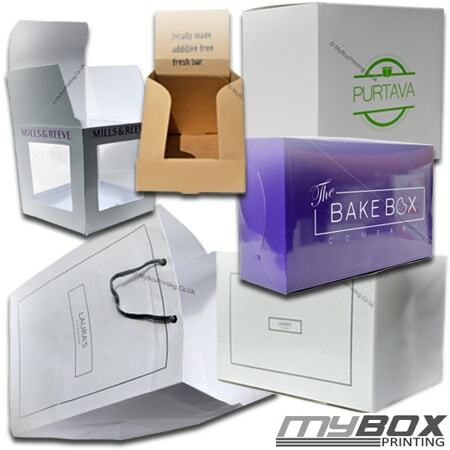 We can deliver any size of custom boxes or bags up to 25,000 in quantity in less than 8 days.